Frame plate for type pumps have replaceable wear-resistant metal( high chrome alloy ) liners or rubber liners. In allowable pressure range, it can be used in series in stages, and allowable maximum working pressure is 3.6Mpa. 5). , Ltd is a modern pump industry enterprise engages in professional manufactore, scientific research, develop, sales and service. Features: Double suction with advanced design of suction performance ensures high suction lift even with large capacity. High operation efficiency over a wider range of capacities, meanwhile the pump can be operated at both 50Hz and 60Hz. specialize in the research and development, manufacturing and export of sand pumps, water pumps, sand dredgers, pipes, floaters and some other related products. Feature: new design make diesel engine more beautiful Fuel-efficient enviromental protection, the comsumption 60% off high rate lift over 80m aluminum alloy wheel hub, easy to transport The detail technical data of CGP40DL-186F diesel water pump sets Mode CGP40DL-186F Bore (mm) 100(4") Rate flow (m 3 /h) 40 Rate lift (m) 16 Rate suction (m) 8 Self-absorption time (s/4m) 180 Efficiency (%) 44 Cavitation allowance (m) 4.5 Dimensions (L*W*H) (mm) 650x470x610 Net weight (kg) &le;79 engine type CG186FA Engine type Vertical Single-cylinder 4-stroke Air-cooled Direct injection Rate output (kw/rpm) 6.3/3600 Cooling system Forced air-cooled The output axis direction of rotation For output to counterclockwise Starting system Starting hand/Electricity starting Fuel consumption (g/kw. h) &le;280 Fuel tank capacity (L) 5.5 Different kinds of Diesel water pump sets Mode CGP20BL-173F CGP40DL-186F Bore (mm) 80(3") 100(4") Rate flow (m 3 /h) 30 40 Rate lift (m) 15 16 Rate suction (m) 8 Self-absorption time (s/4m) 120 180 Efficiency (%) 44 Cavitation allowance 4 4.5 Dimensions (L*W*H) (mm) 510x455x515 650x470x610 Net weight (kg) 46-55 &le;79 engine type CG173F CG186FA Engine type Vertical Single-cylinder 4 stroke Air-cooled Direct injection Rate output (kw/rpm) 4.05/3600 6.3/3600 Cooling system Forced air-cooled The output axis direction of rotation For output to counterclockwise Starting system Starting hand/electricity starting Fuel consumption (g/kw. 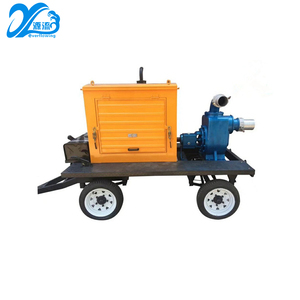 h) &le;285 &le;280 Fuel tank capacity (L) 2.5 5.5 Details of CGP40DL-186F 6 inch farm irrigation movable diesel water pump Product flow Packaging & Shipping Package: 1PC/ EXPORT CARTON, WOODEN BOX Or as your demand Delivery Time: 30days after receiving your payment Trade Shows We have participated in several trade shows, such as 2015(and 2016) International Commodities Fair in Korea, Dalian Promotion Conference, 2015(and 2016) National Conference, etc. 6 Inch Diesel Water Pump has been an importent product in the Pumps market over the past year, and it was very popular in United States,India,Canada,Wales and Malaysia; As shown in the distribution chart, market shares of these countries are folowing: [ US:45.21%, IN:9.15%, CA:6.71%, GB:4.27%, MY:3.75%, other:30.92%]. 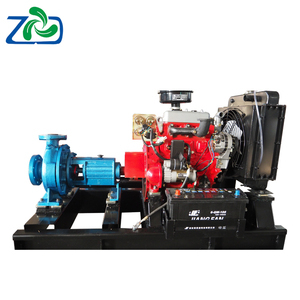 What's the trends of 6 Inch Diesel Water Pump product's market in 2018 (Dec 2016 to Jan 2019)?we have studied one years data on online sales, global shipping, search, sourcing and requirements of following products Slurry Pump. Diesel Engine Pump,Here is the report.During the research period (Dec 2016 to Jan 2019), the major trends are as following.